Are You Ready To Write Inspired Copy? Copywriters often find themselves writing on some pretty mundane topics. From ‘Installing the best security doors’ to ‘The top five high-interest savings accounts’, it can sometimes be hard for a copywriter to feel motivated to write on certain topics. And you need to be motivated to write inspired copy. If you’re finding it difficult to write on a topic you consider boring, here are some simple tips to ensure you meet your targets. 1. Find an angle which interests you. Okay, so you might not be particularly thrilled at the prospect of writing about the latest air-conditioning unit. But this article is going to pay your bills, so you really need to write it! Find something that interests you about what you’re writing. Even if it’s something small, such as this air-conditioning unit can go four degrees lower than the average air-conditioning unit. If you find something interesting or exciting, you’ll find you can build on it and the words will flow a lot more easily. The importance of regular breaks cannot be emphasized enough. If you’re struggling with a piece, take a 10-minute time-out. Walk away. Do something else and come back with a fresh mind and fresh eyes. If you’re still having trouble, take baby steps. I often find that if I’m not motivated, I have to go slow. Force yourself to write for as little as five minutes and then take a long break, then write for another five minutes and so on. Eventually you’ll finish the piece and when everything’s on the page, you can leave it and come back later to edit it. Like writers the world over say, just start writing! You can always go back and change it. 3. Research as deeply as you can. Conducting research is standard procedure for any copywriter, especially if you’re writing on an unfamiliar topic. If you’re finding it difficult to write even though you’ve done some research, do more research! Once you become familiar with a topic you’ll find it easier to write about. When you know more, you can see more angles and take more directions with your writing. Having more options will help you write inspired copy. 4. Break up your work with something that interests you. In an ideal world, we’d all be working at our dream jobs and copywriters would all be writing on their favorite topics. Unfortunately, this isn’t the case. However much we grumble, sometimes we have to write about things we’re not that interested in. Combat this by using your own time to work on something that really interests you, such as writing a blog. If you love travel but end up writing about web design, start a travel blog off the job to keep your creativity alive. 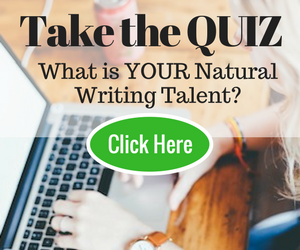 You will not only feel more fulfilled, but this extra writing will motivate you when you’re struggling to write. Simply because writing breeds more writing. As a journalist, I’ve often found it easier to write an article if I act as though I’m telling a friend a story. For example, if I’d interviewed someone, I would write as though I was telling my friend about the interview, including little asides, such as how nervous I felt or what coffee we both chose. This helped me to inject some personality into the piece. As a copywriter, I still use this technique when writing articles, although I usually take myself out of the equation. If you’re writing a product guide for a home appliance, for example, include instances of when someone might need a particular wash on a washing machine, like when the boys return from football. Including such little nuances will also help the reader relate more to what you’re writing about. Copywriting can be one of the most satisfying jobs to have. Nothing beats the thrill of seeing your name in print. Knowing that people are reading something you’ve written creates a fantastic buzz. However, it can also be one of the most challenging jobs. With deadlines looming and expectations running high, there’s nothing worse than feeling stuck and lacking the motivation to write. Hopefully these little tips will help you the next time you start to feel the pressure mounting. We can’t write on our favorite topics all the time, but we can make our writing fun and interesting, both for ourselves and our readers. Happy writing! And don’t forget to share in the comments the other tips that help you write inspired copy. Sarah Murray is a copywriter for leading white goods retailer. Finding an angle on a a boring topic is the best advice, I think. It’s hard to write about something that’s either boring or been written about over and over, but if you can give it an interesting or amusing spin, that’s where good writing comes in. Thanks Liz! It’s definitely something I do a lot when I’m dealing with a bland topic. I figure if I find a particular aspect interesting then the reader will as well! Plus it helps me to become more interested in a topic, making it easier to write. All the best with your writing! 1) I always try to make it interesting for me to write. I know that if I don’t feel like sitting down and working on my writing piece, it means that I’m not excited about it. Then I try to figure out how to make it more interesting, and when I do, I just can’t wait to get down to working on it. 2) I love the tip about taking regular breaks. But sometimes I do the opposite – I put the writing in between other activities as a break. I usually do it if I feel a bit anxious about the piece I’m working on and it’s hard for me to concentrate on the writing because of the anxiety or some other emotions. In that case I insert 5-minute writing increments in between other activities and soon I have enough written for the anxiety to go away. 3) My favorite tip is about writing a story and adding as much details as possible. I love reading books and articles that contain a lot of detail, because they help you feel/see/hear or sometimes even smell and taste the story. Thank you for all the tips! I definitely find taking a break and stopping for 5-10 minutes really helps me. When I find myself not writing I will usually take my dog outside! I think in order to write a good copy, one must be educated and dedicated. I write so much better in niche markets that I am interested in, which was my first mistake when I started a niche health blog. Not that I did not like the topic, but I found myself getting pretty bored of it after about 20-30 blog posts. Well, a story might be at the bottom but people have been talking about telling story in post can really build relationship with readers. Love these great tips that you shared and when writing an article, research as much as possible can really help produce a better quality. Thanks Ferb! The story telling tip is probably my star one, it’s definitely my favourite to use and I find it creates the best content. Happy writing! I especially like the advice to do more research. I never thought of research as a way to get more inspired to write, but it actually sounds like fun, and it’s practical because it feeds the writing and ultimately makes it better. Thanks Sarah 🙂 I think we often forget about the research stage as copywriters or we just do the bare minimum (I’ve been guilty of this in my time!) But if I really want to write interesting and engaging copy I have to know about my topic and the only way to do that is research! Hope these tips have helped your writing! Research works best for me! When I have to write about something “boring” I find that doing some digging about the topic makes it more interesting and relatable. Research also helps me find that special angle that I can build on. All great tips thanks. Research+story telling those are the ones that work best for me when I hit the writers block. The other thing I do is to do something completely different and unrelated for 30min to clear my head and let the dust settle. Often all I need is a little fresh perspective. Thanks Simon! Great advice, I like to take regular breaks too, just helps to put some distance between yourself and an article so you can come back with fresh eyes! Articles that are written like stories are waaaaay more interesting to read as the mimic how we really talk to one another. Especially when it’s done informally with an element of glib or sarcasm. Thanks Darnell! Yes, I always prefer reading an article which has been written as though it’s addressing you as a friend, it’s so much more relatable. It’s win win too because I always find pieces like that easier to write! I’ll tell you my secret if I have to write bland copy for something. I’ll take your reference to garage doors. Let’s say I’ve slogged through all of the research and written up bits and pieces. Now I have to make it breath for people who use this as their meal ticket (something bland to you puts food on the table for others.) So, how to I relate my words to someone for whom this subject is the world? I get on YouTube and find someone who is very interested in this. Not someone over the top, but one I can relate to; and then I write my post to him. And only him. I pick out things in his style of talking on the video and I use that as a way to emphasis something. It is not hard by that time to write as if you are writing to a ‘friend’. Great article and thanks for the tips! I love the take regular breaks tip. Recently, I’ve been finding it difficult to keep up with my writing, so I’ll be sure to try this later. Thanks Jevon! Let us know how you go with the tips! Absolutely true, Sarah. Great tips, especially about breaking things down into manageable parts. Your WritetoDone is always fantastic. Today’s was exceptional. Thank you. Your daily is always fantastic. Today’s was exceptional. Thank you. Your daily write to done is fantastic, always. Today’s was exceptional. Thank you. Hey there, its a pleasure receiving your daily digest. As in, it keeps me motivated and also help me to discover new ideas by reading your very well imaginative articles. Apart from this, I am in need of some help, tips and tricks to edit and proofread my articles. I am a writer but but articles do not portray a professional work. Please share some tips to consider while writing err-free articles with ease. Thanks for your comment! There’s quite a few tried and tested tricks I use when proofreading my work. The classic is printing your work out on paper instead of editing on the screen as any errors will appear more noticeable. You can also try printing it out on different coloured paper as different background can also help errors stand out. In terms of the editing process, it’s best to start off with correcting general errors, such as tone, flow and consistency before tackling more localised issues such as spelling and grammar. Hope that helps! All the best with your writing!